﻿ Why do they race? Главная \ ELBRUS RACE 2017 \ Why do they race? 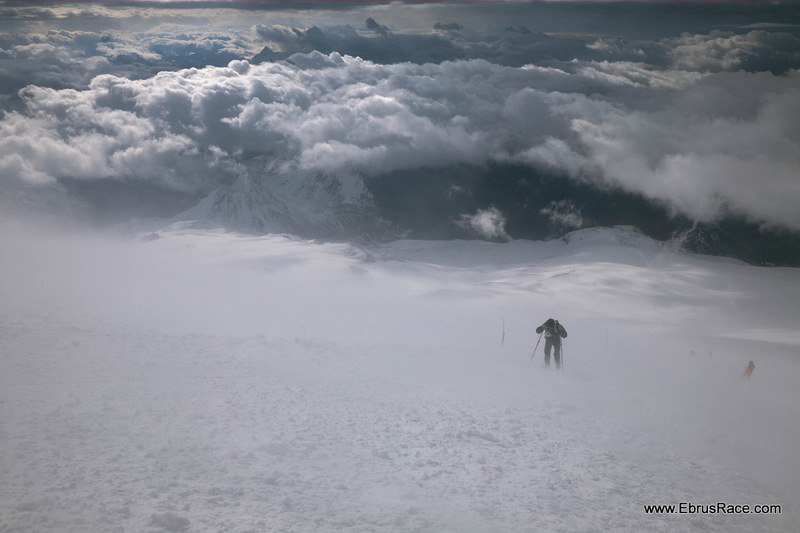 Thirdly, the good result in the competitions in Elbrus speed climb is an indicator that the athlete can be successful in high-altitude climbs. As you can remember, it was the reason why in USSR speed climbs tests on Elbrus and Communism peak had been practised before the first Himalaya expeditions. 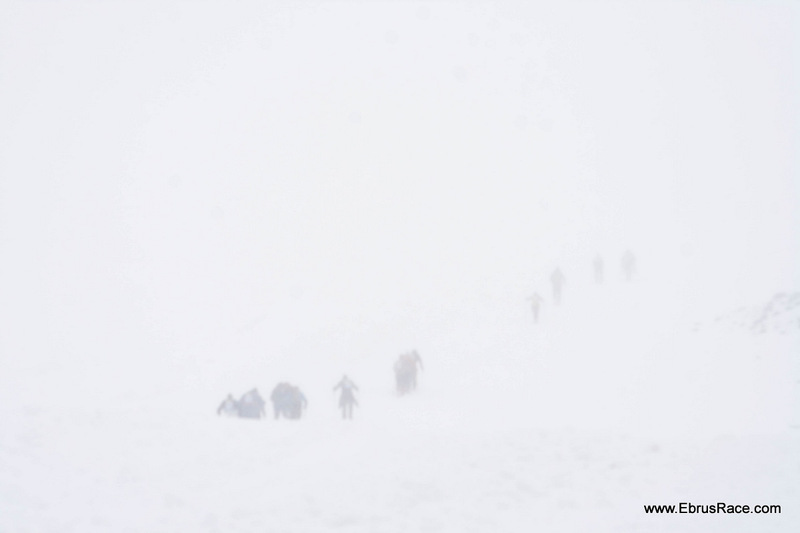 When climbers are going for the first time to the real altitude (7000 m, 8000) they can’t be sure, how their body will feel there, whether it will agree to suffer of all deprivations connected with HAPE, exhausting, necessity of long concentration. 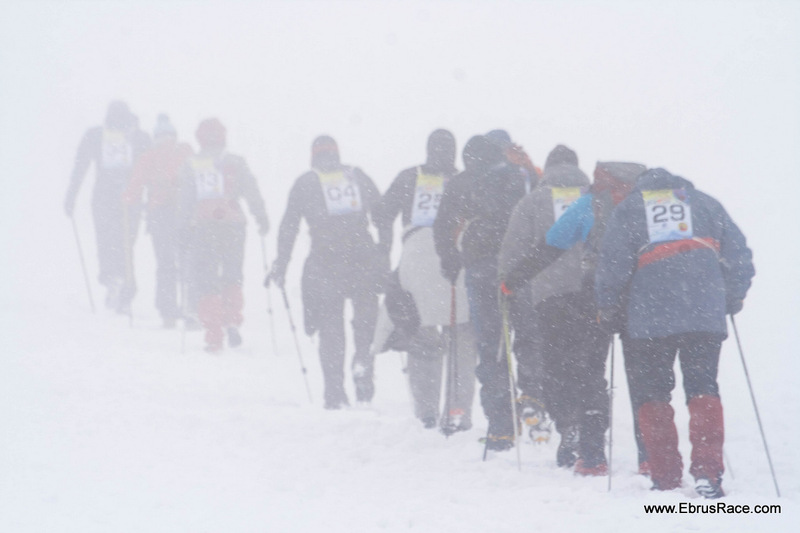 Elbrus Race can become the first test for readiness to the high altitude and specific endurance. Every athlete may compare his condition to well-known high-altitude climbers, who start nearby. 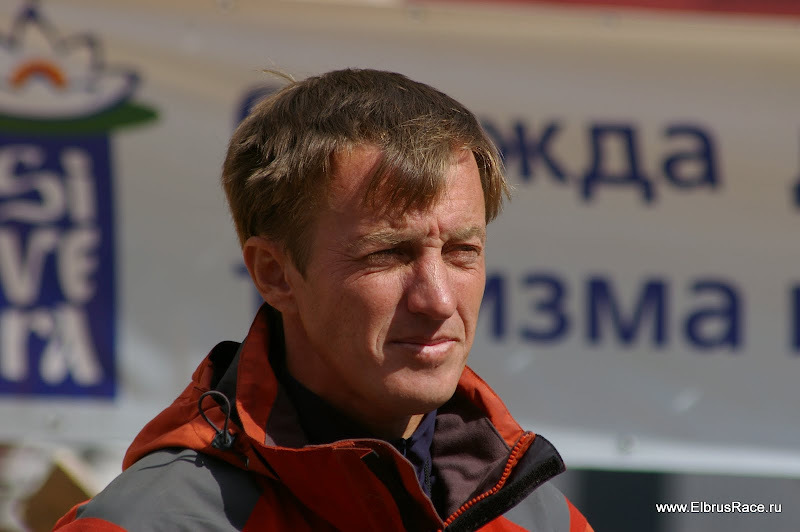 One of the brightest stars in world tables of ranks of the Himalaya mountaineering, Anatoly Boukreev who has become a symbol of improbable working capacity and endurance on 8000-ers, who had climbed 11 highest peaks (8000+), including high-speed climbs, became the Winner in 1990 on Elbrus on on the way Priut 11 – Elbrus East top with the result 1 hr 47 min. Other well-known Kazakhstan climber– Denis Urubko (who climbed all 14 8000+ peaks without additional oxygen, including 3 difficult first climbs via new routes, one speed climb, who complete the Snow Leopard program in one summer season) has established in 2006 the fantastic record on Elbrus, not broken till now – he run a line from Azau (2400 m) to the Elbrus Western top in 3 hrs 55 minutes. 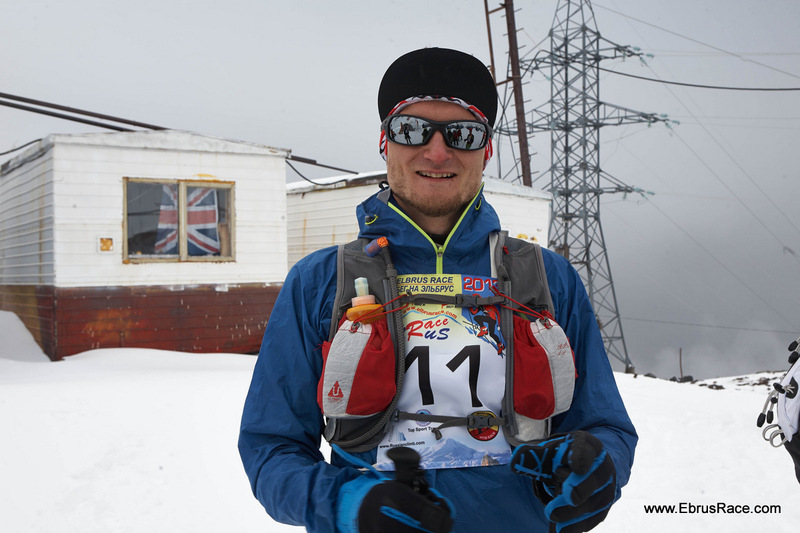 Russian Andrew Mariev, the member of the Russian national team, who climbed two great new routes -Everest North Face and K2 West Face, participated twice in International Elbrus Race, and twice with the great result: in 2008 2nd place in Extreme class (Azau-western top), and in 2009 – on the same line he has improved the time more than on an hour! 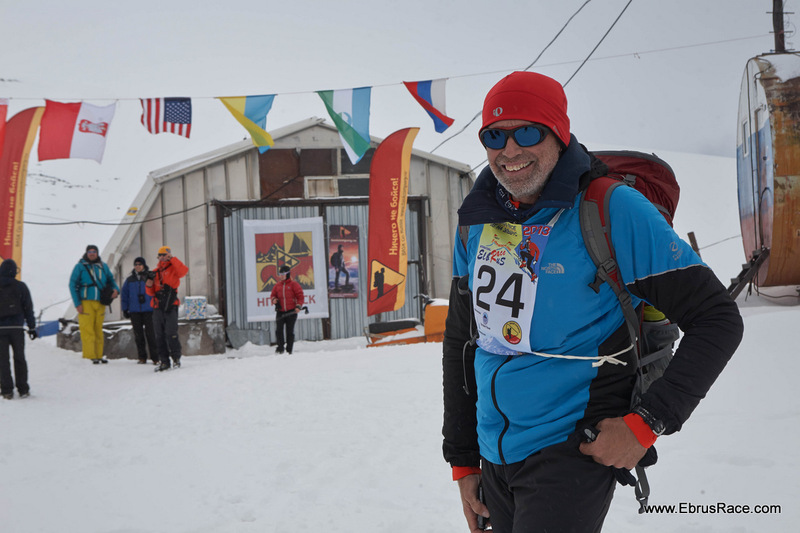 Balkarian Abdulhalim Elmezov, remarkable both the person and the mountain rescuer with wide mountain experience, in 2006 run the classic distance with very good time, and one year ago, in age more than 50 he climbed Everest. 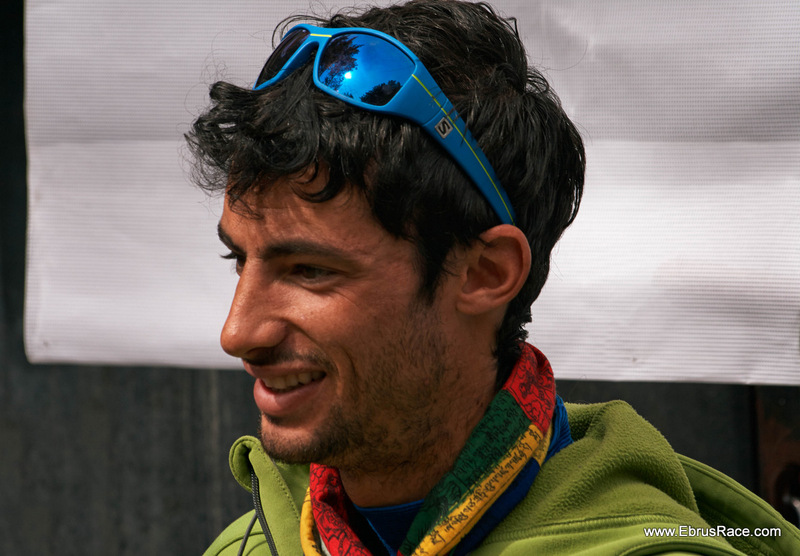 Other Caucasian Roman Gubanov has confidently won in 2007 on a classical line Garabashi – the Western top, and in 2008 became the winner in "extreme" class - and in Karakorum he became one of the four members of the Kuban expedition who have topped out K2. 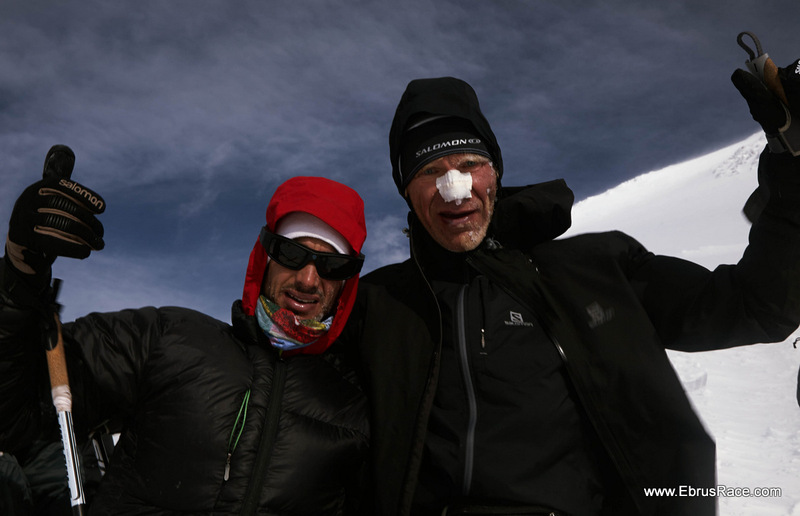 Americans Kevin Cooney and Patrick Healy who had very good results in 1990 Elbrus Race (the second and the third places) then climbed Everest without oxygen – their first 8000-er. 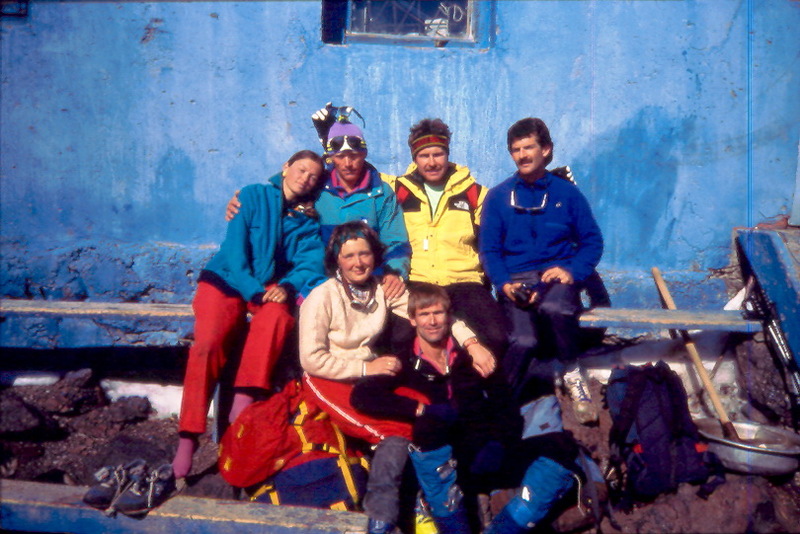 Nickolay Shustrov and Alexey Nikiforov climbed 8000+ peaks after good results in Elbrus race 1990. 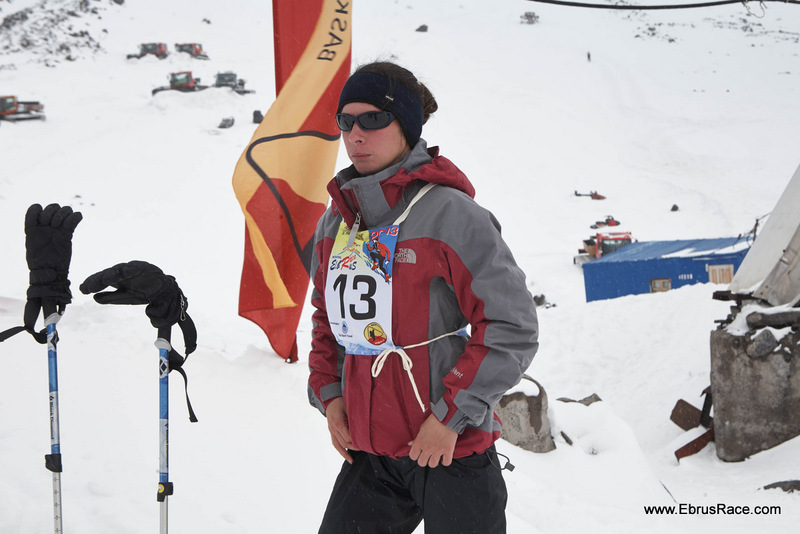 Svetlana Sharipova from Almaty, who became the winner among women in 2006 (and her time remains a record on a line Garabashi – the Western top of Elbrus till nowdays), has successfully summited Makalu and Dhaulagiri without additional oxygen. 19-year-old Ukrainian Masha Hitrikova, the champion on a classical distance in 2009, has her 8000+ top still ahead, but she already summited the Himalaya peak Ama Dablam, and Korzhenevskaya peak, Khan Tengri and Lenin peak. 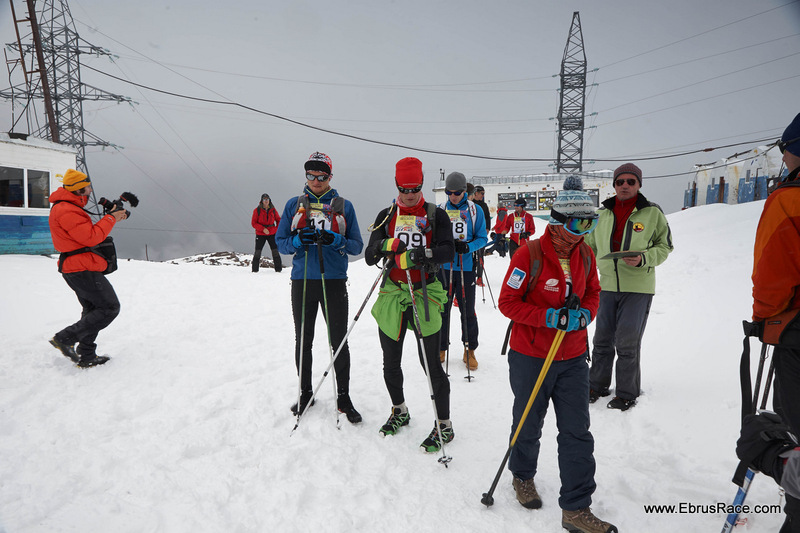 This year, in 20-year-old anniversary of the first successful "Balyberdin" Elbrus race, it is possible to say with confidence that Elbrus Race champions can «hold the altitude», they will by all means become successful in high-altitude mountaineering even if they did not try it yet. 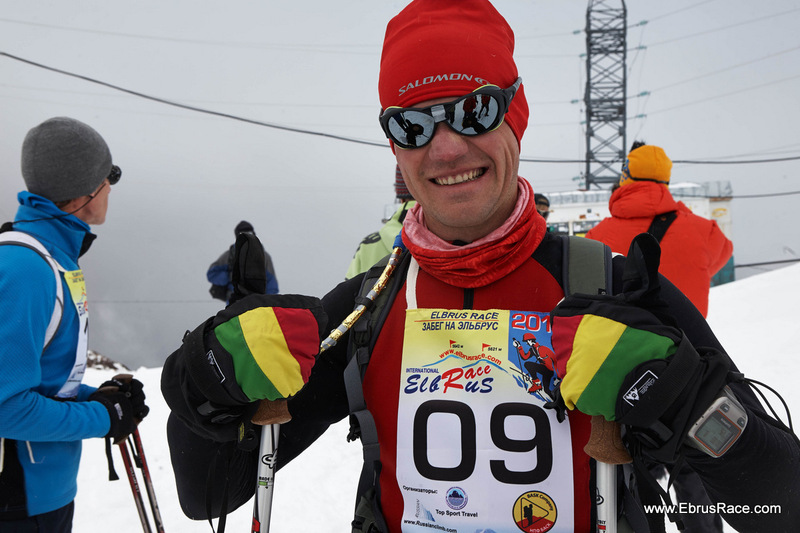 Time will come - and we may soon hear about beautiful Himalaya climbs by Serguey Fursov, who won Elbrus Race twice: – at first in "classic" in 2008, and then and in "extreme" in 2009. 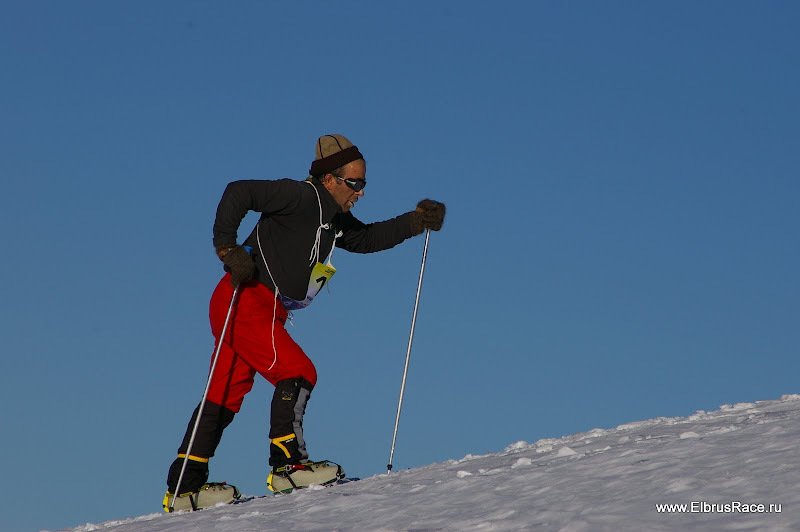 Himalaya expeditions organizers should pay attention to this talented athlete and invite him in the team. 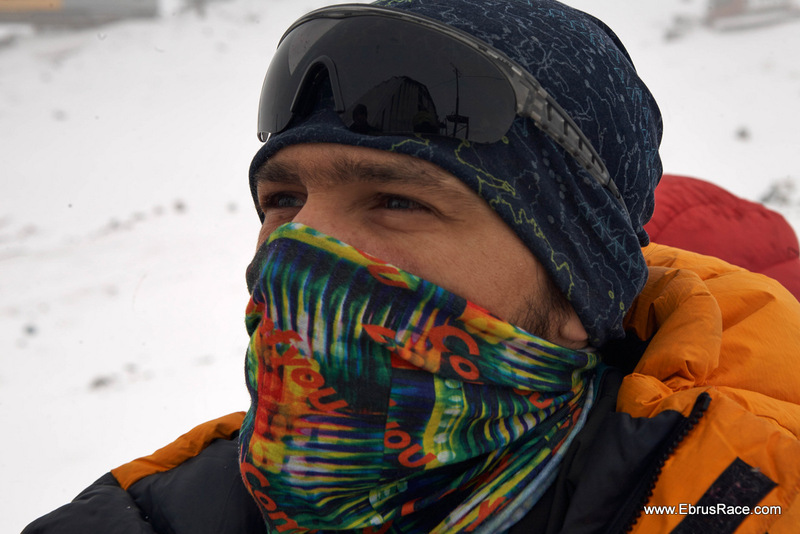 International ELBRUS RACE is an excellent possibility for the climbers dreaming of Himalaya peaks to pass the first test for durability, and also for guides for whom such durability is necessary. Search new guides or partners among our winners for your improbable expeditions!